Surftone offers local telephone service at significant savings including unlimited calling plans. You can choose the call features that meet your needs including voicemail. Inside wiring plans are also available. 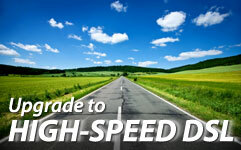 Competitive rates are available for domestic and international long distance and toll-free services. Unlimited local, regional and domestic distance calling plans. Low domestic long distance and international rates. No contracts and no switching fees. Enter your phone number to see if you are eligible to start saving on your phone bill.